Another week down! 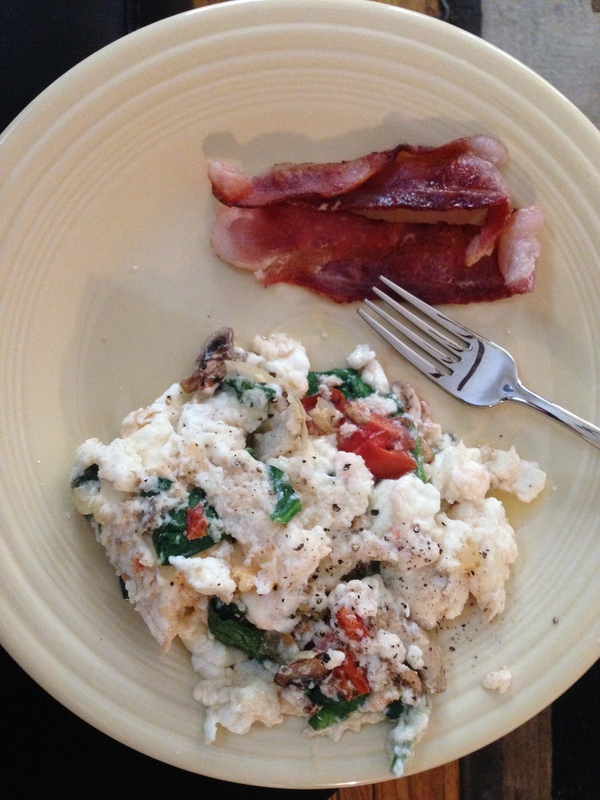 If you are thinking about starting your own Whole30 journey, start reading about it now. Collect recipes and make lists of easy meals you know you love. You have to go into the process totally prepared, as it is as much of a mental challenge as it is a physical one. In fact, I’d say it’s 90% a mental game. But it’s only 30 days! Just do it! Here is what I ate in week two. I hope this helps you on your journey! Thoughts: It was weird to go out for dinner with my girlfriends and not get a glass of wine or some slightly decadent meal, but honestly, these choices are getting easier and easier. One day at a time! Thoughts: Larabars are frowned upon because although certain ones are whole 30 approved, you aren’t supposed to use them as a dessert…because they are pretty darn delicious. But I worked weird hours, over dinner, so I needed something easy to get me through. And it honestly filled me up for a while. OH and by the way, I feel great today. Breakfast: Two eggs scrambled with onions, tomatoes, and mushrooms + two turkey sausage patties + sliced banana, coconut milk, and a few chopped cashews. Snack (pre-workout): A bunch of cashews. I was starving. 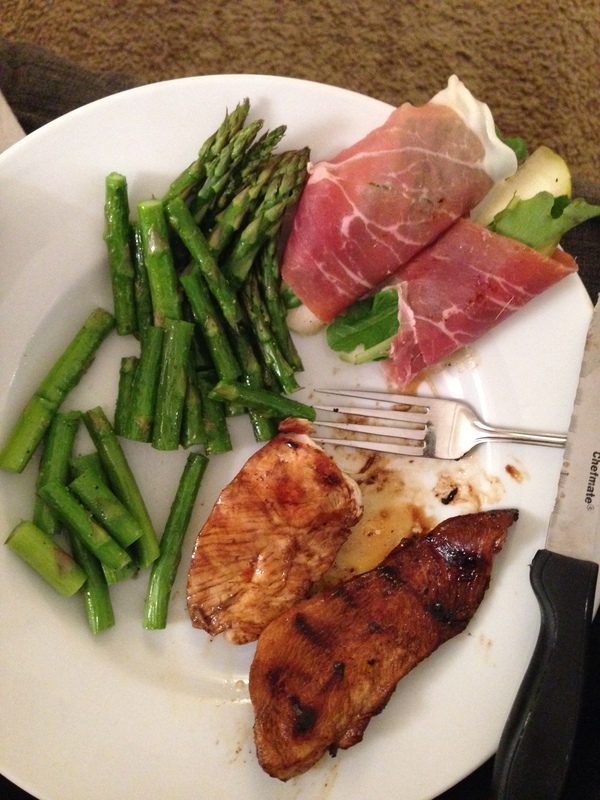 Dinner: Pear and prosciutto wraps, chicken marinated in balsamic and olive oil, and asparagus. Dinner was followed by a whole bunch of strawberries. Thanks to my friend Laura for making a Whole30 meal for us! Thoughts: I took it easy on working out last week (as in, I really didn’t work out), so this week I’m ready to get it back into my schedule. My run today was awesome – the weather was gorgeous and I had a lot of energy. It felt good to get out there again. Dinner: Baked tilapia drizzled with ghee, small sweet potato sliced and baked, steamed broccoli, and a glass of coconut milk for a little extra calcium and fat. Followed this up with a pear. Thoughts: TONS of energy today. Like, tons. 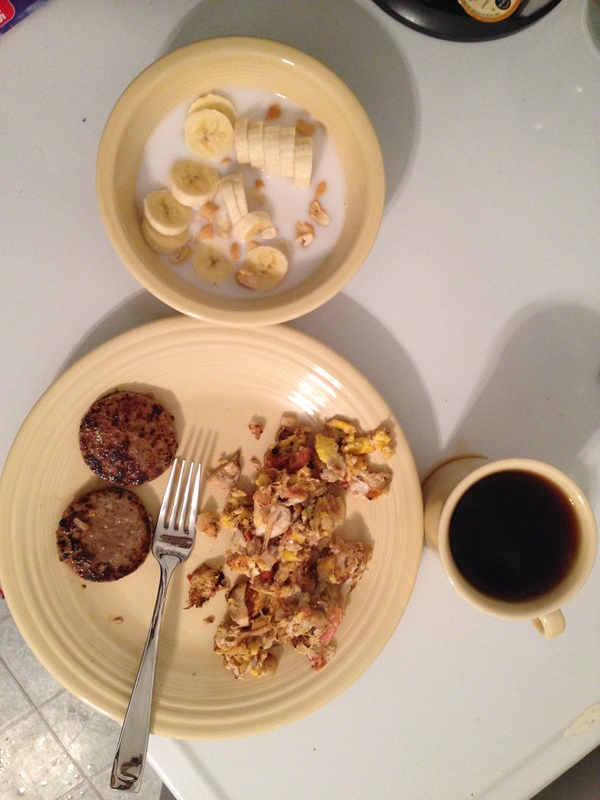 Breakfast: Two eggs scrambled with onions, tomatoes, mushrooms, and jalapenos + two turkey sausage patties + sliced banana, coconut milk, and a few chopped cashews. Lunch: Three leftover pear and prosciutto wraps, an apple, a bunch of cashews, broccoli, and a small sweet potato. Kind of random, I know. Dinner: In a rush to get to job #2, I had some spaghetti squash with chicken and maranara, and a larabar. Thoughts: Today I got pretty tired in the afternoon, but I’m fairly certain that was just due to a night with not enough sleep. Still going strong! Lunch: Pear, a few cashews, turkey spinach soup, salad with grilled chicken breast. Dinner: (we were out to eat) A small grilled shrimp appetizer with a little avocado, a side salad (just veggies no dressing), and then a pork chop, steamed broccoli, and 1/2 sweet potato for dinner. Thoughts: I’m noticing that I’m sleeping better, still have a ton of energy when 3:00 rolls around, and I’m spending a lot less time thinking about food than I used to. That in itself feels awesome. Breakfast: Onion and sweet potato hash (used 1/2 sweet potato), baked with two eggs, and a glass of pure orange juice. Lunch: Leftover day! 1/2 sweet potato, broccoli, a few slices of turkey, banana, and cashews. Dinner: Cod, grilled vegetables, and a little later, a pear. Thoughts: I’m finding the weekends a little challenging, just because of my habits of over eating, drinking wine, and staying out late. But once I get through the night, I feel so proud and so healthy. Hopefully I will just become stronger with each weekend! Click here to see Week 4. Click here to see the end results! Click here to view all of my Whole30 recipes and posts.